Although there’s been a lot of focus on Facebook video recently, YouTube is still a huge player – if not the biggest – in the online video world. In fact, over 1.9 billion logged-in users visit YouTube each month. As a marketer, you want your videos to reach as many target viewers as possible. Therefore, it’s important to create videos that are accessible to people of all abilities. Plus, there are new Americans with Disabilities Act (ADA) guidelines that marketers must pay attention to. While the ADA’s focus has been making facilities accessible, new emphasis is being placed on making business websites accessible. This means websites must be designed in a way that people with disabilities can access the information. For an overview of the changes you should make to your website, read our post Help Make Your Website ADA Compliant with These 10 Steps. One way to help make your videos follow ADA guidelines is to add captions. There are about 1 million deaf people in the United States and another 10 million are hard of hearing. Captions help them consume your video content without sound. In addition, many people watch videos with the sound off. Perhaps they’re at the library, work or another place where they can’t have the sound on and need to read the videos rather than listen. 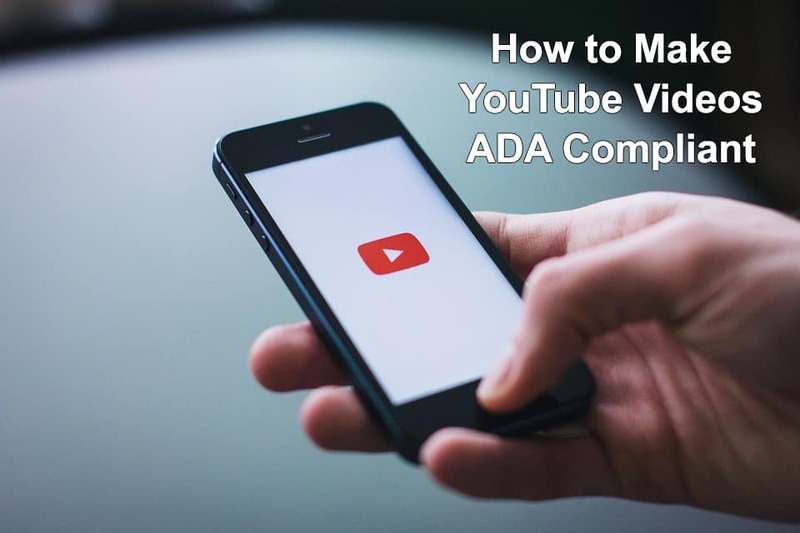 There are two main ways to add captions to YouTube videos – by using YouTube’s auto caption functionality or creating them yourself. YouTube uses speech recognition technology with the YouTube caption system to create automatic captions. If automatic captions are available, they’ll automatically be published on the video. Automatic captions are available in English, Dutch, French, German, Italian, Japanese, Korean, Portuguese, Russian, and Spanish. You can create captions within YouTube or upload a caption file. To create captions in YouTube. From the left, select Videos. Click on the title or thumbnail of a video. Choose between With timing or Without timing and select Continue. Whether you use YouTube automatic captions or create them yourself, we encourage you to have captions for all your YouTube videos. If you need help navigation ADA guidelines for video and websites, contact MorePro Marketing.